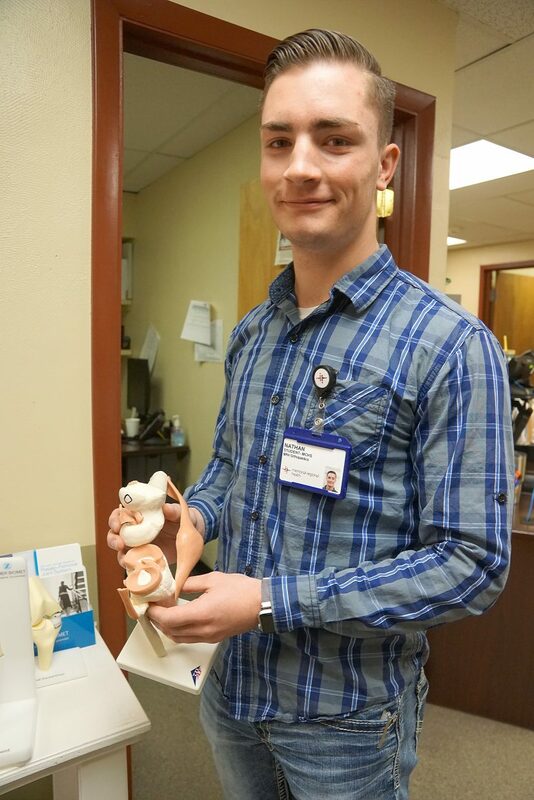 Moffat County High School Senior Nate Baker holds a model showing the ligaments and bones of the knee joint. His left knee was reconstructed after an injury during a football game resulted in torn ligaments, requiring extensive surgery and physical therapy. CRAIG — Starting with a fire that burned down his father’s home and ending in five surgeries, 2016 was a difficult year for Moffat County High School student Nathan Baker. “On Sept. 2, 2016, I was returning a punt for the school … My left leg was planted in the ground when hit by another player. It snapped backward, tearing every ligament in the knee,” he recalled. He was taken first to Memorial Regional Health in Craig, then to Grand Junction, where he learned about The Steadman Clinic. There, specialist orthopedic surgeon Dr. Robert LaPrade performed reconstructive surgery on Baker’s knee. After surgery, Baker spent about a year and a half in physical therapy, and his ordeal, as well as the care he received from his doctors, has inspired him to set his sights on a career in sports medicine. “I’d like to be like Dr. LaPrade. I look up to him for everything. He’s a world-renowned surgeon operating on Olympic and professional athletes,” Baker said. It will take focus and determination for Baker to succeed, the same attributes that saw him through his own surgery and rehabilitation. “At times, it wasn’t fun, but I just listened to my surgeon, and it’s up to me how I wanted to come out of this injury,” Baker said. His hard work paid off. Today, his knee is in excellent shape, and he’s back to playing basketball and badminton, though it is unlikely he’ll ever return to playing contact sports. “He’s a really hard worker with a bright future ahead of him,” said Orthopedic Surgeon Dr. Kevin Borchard. Baker has spent mornings during his senior year at Moffat County High School acting as an intern for Borchard. The internship has allowed Baker to observe surgeries. 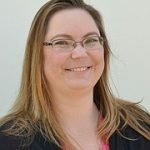 Baker will spend this summer in Vail as an intern at the Steadman Clinic, on the recommendation of LaPrade. The unpaid internship is set to finish in August before Baker heads to college at the University of Colorado, Denver, to study pre-medicine. “I think he’ll be very successful in medicine and whatever he decides to do,” Borchard said.